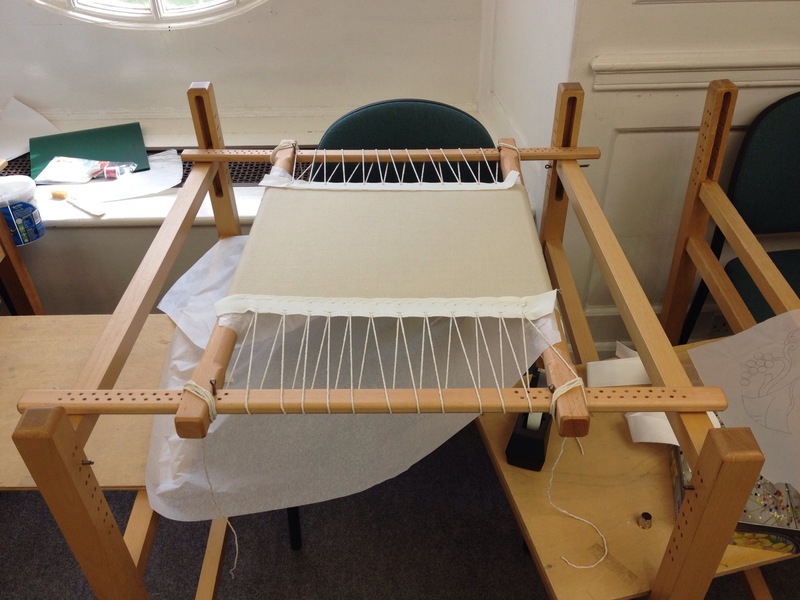 Progress from the second day of the certificate course at the Royal school of Needlework! Today I have finished framing up, pounced and painted the design onto the fabric, had my stitch plan critiqued and improved, and started the actual stitching :) Almost three weeks until my next class in which I need to complete the chain and block shading stitches I’ve started, plus begin a heavy chain stitch area, and test out some trellis suggestions on some scrap fabric. 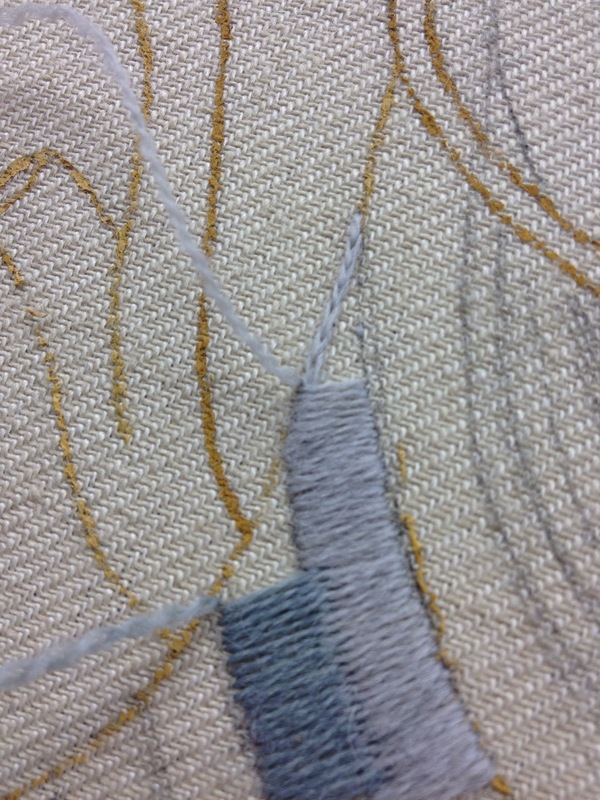 I came to your website because of the wonderful pictures of your crewelwork. I was looking for stiches ideas. But I saw the pictures of you painting the design onto the fabric and… I have always so much trouble getting the pattern onto the fabric, especially on dark fabric. I found the painting technique mindblowing. Could you give me a little more info : what kind of paint do you use ? Does the paint go away when you wash the fabric or does it stay underneath the embroidery ? Do you have any advice for me regarding the painting technique ? I think it’s just watercolour paint, buying some in a tube would probably be the perfect consistency. 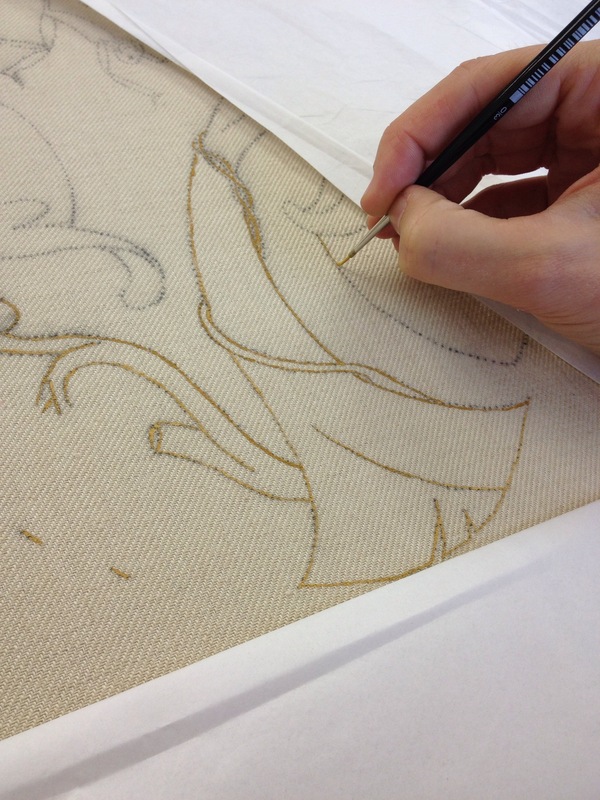 At RSN we use a perforated tracing of the design and ground up charcoal to get a sort of dot to dot version of the design on to the fabric, and then we paint over that with the yellow-coloured paint. 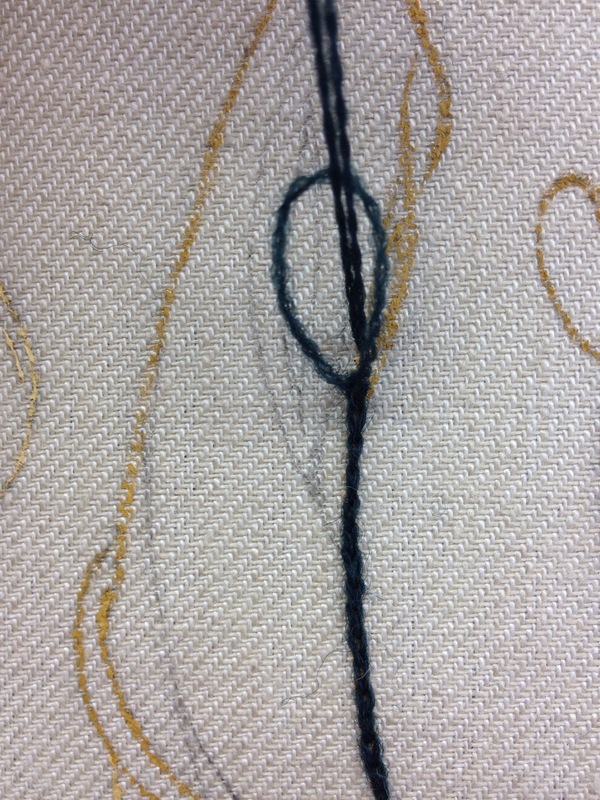 The charcoal ‘pounce’ brushes off easily but the paint stays on, we just make sure the stitches cover it. It might come off when you wash it but to be honest I’d try to avoid washing your work anyway. There are some good pens available which fade and disappear on their own, that might be less labour intensive alternative?! But probably only useful for a project you plan to complete in a short time. I hope that helps! 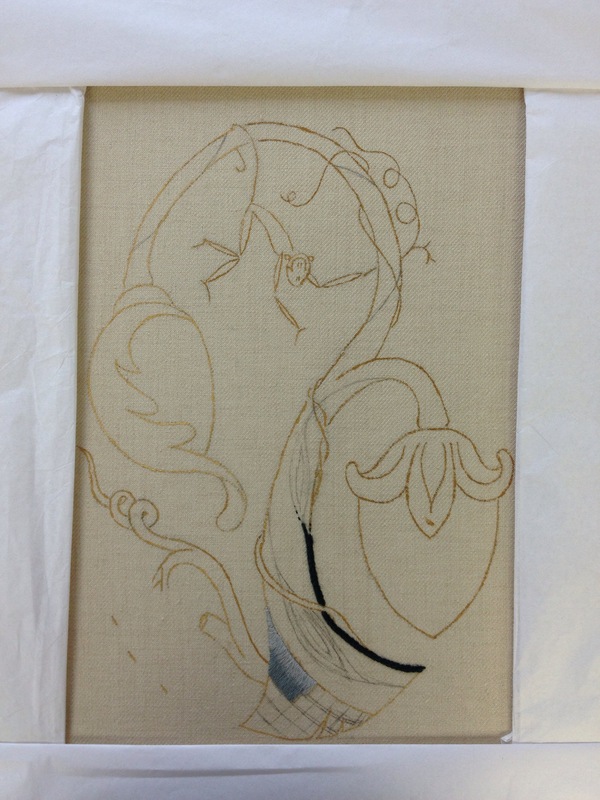 The RSN books on techniques like Jacobean crewelwork include instructions on framing up, pricking, pouncing, painting etc, that might be interesting to you if your looking for further info? Previous Previous post: On knitting a random scarf, including a pattern to make your own!